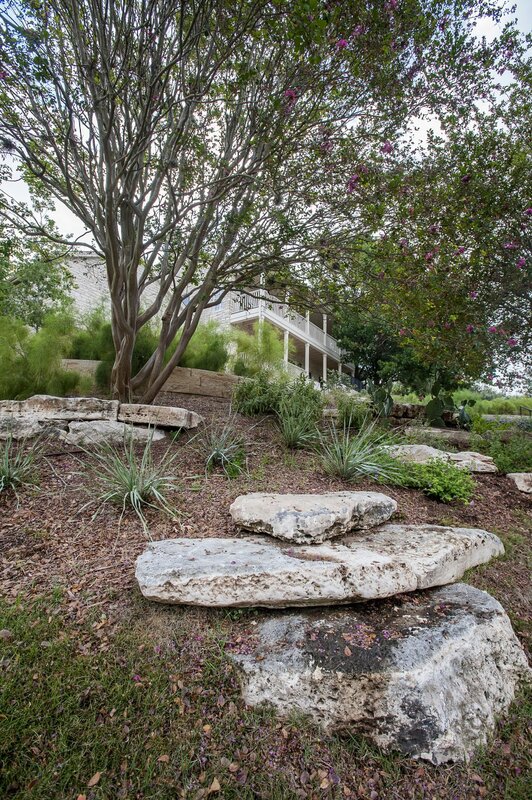 Perched at the top of a hill, this home’s former landscape was primarily a 15’ tall cement wall. 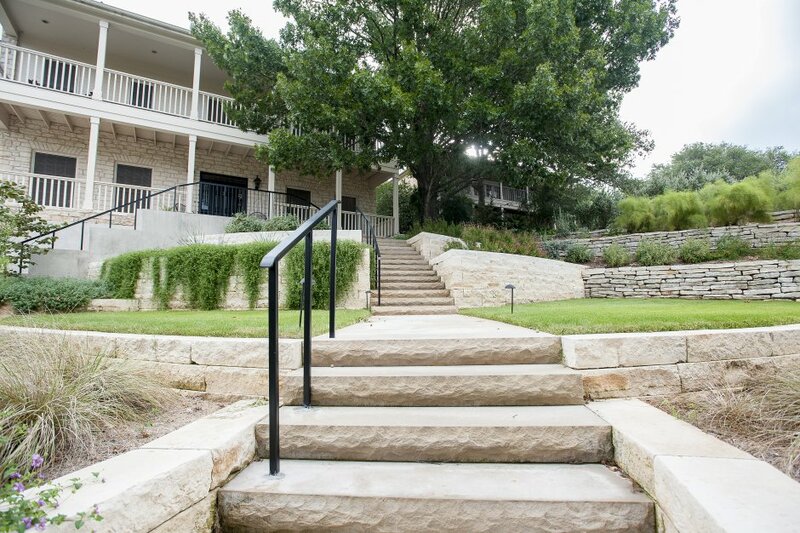 By creating several terraces which stepped back into the grade we opened the sightline to the home and added a more welcoming entrance. 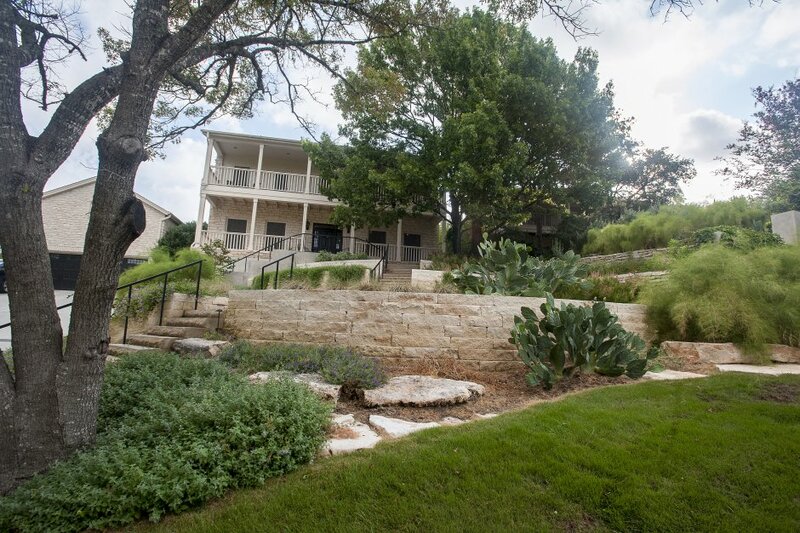 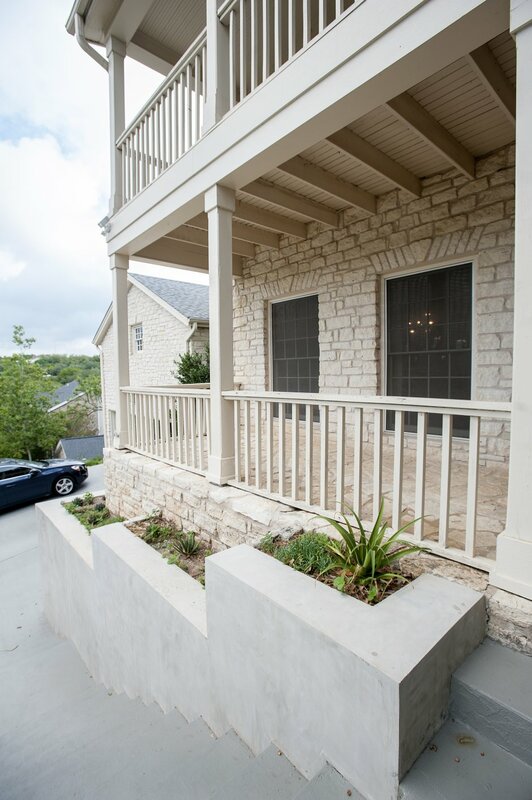 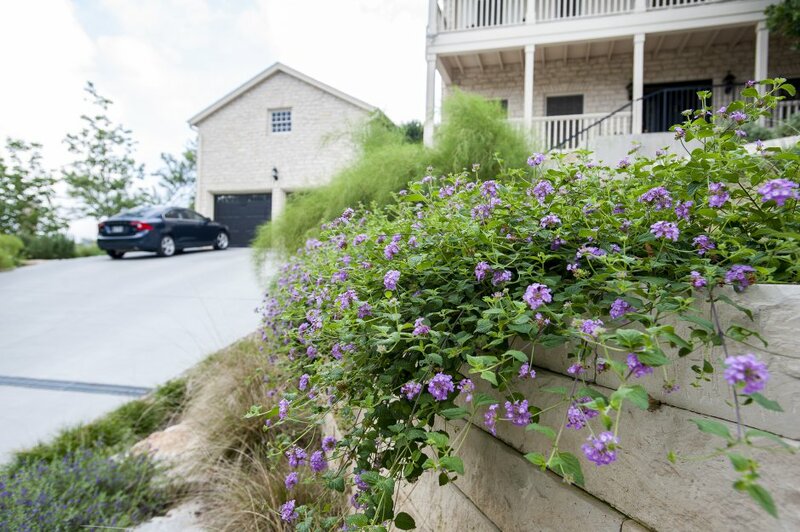 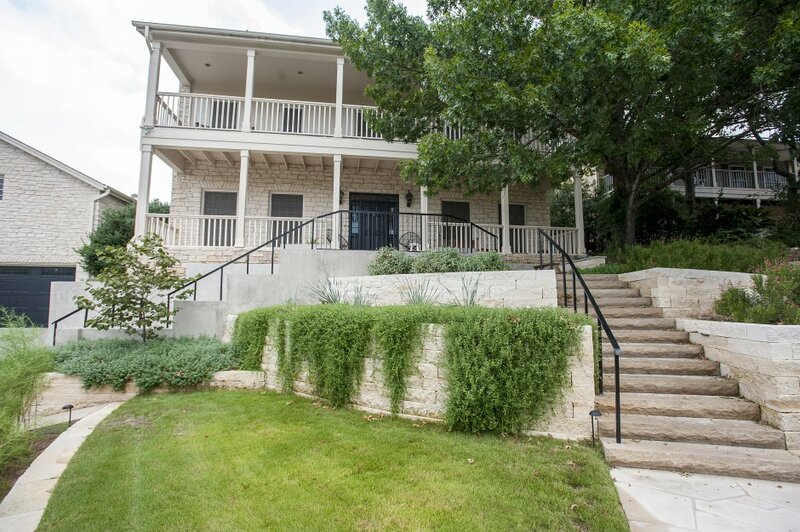 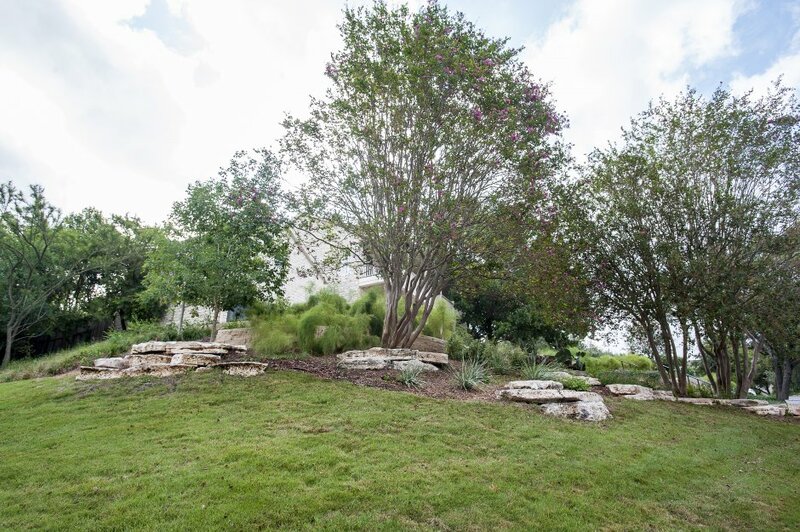 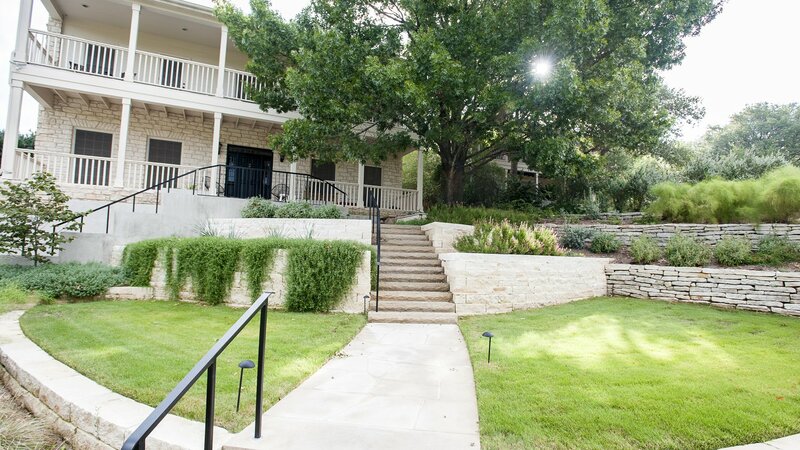 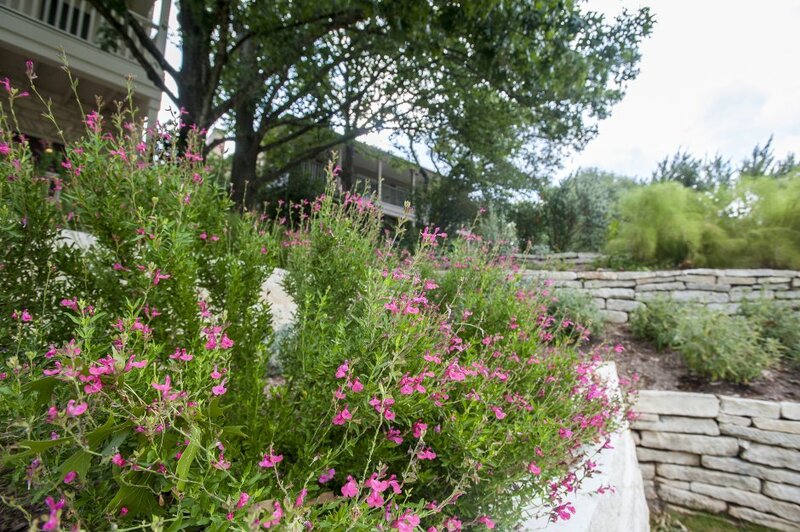 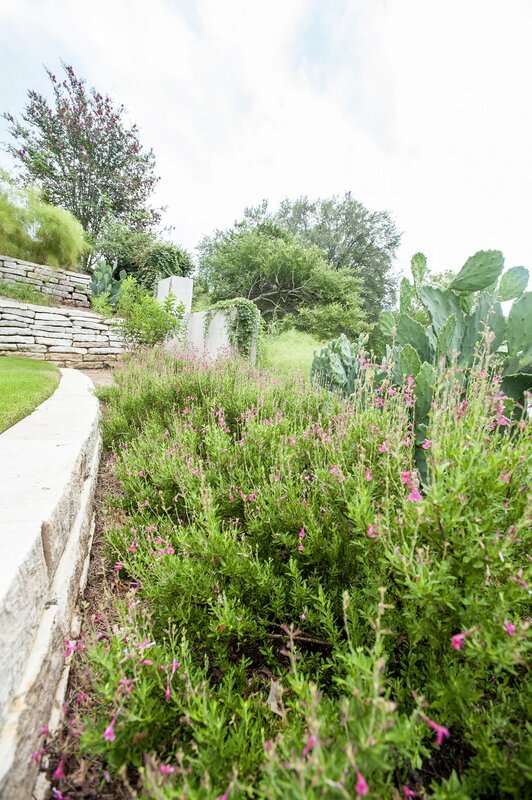 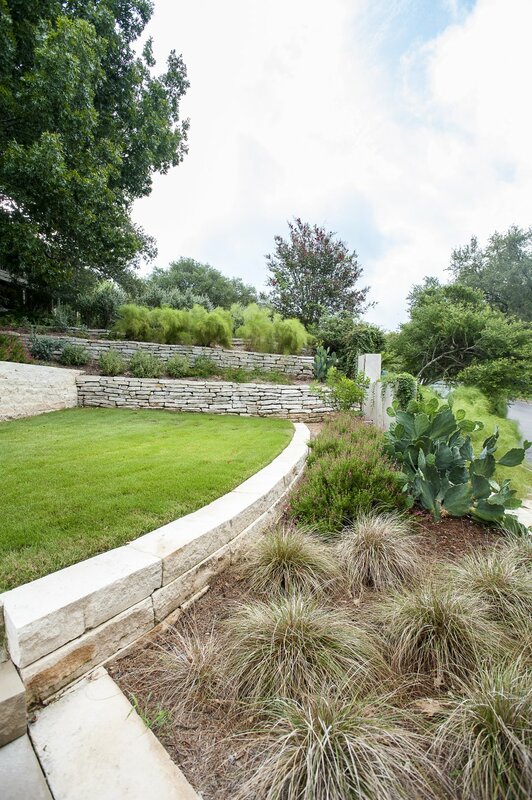 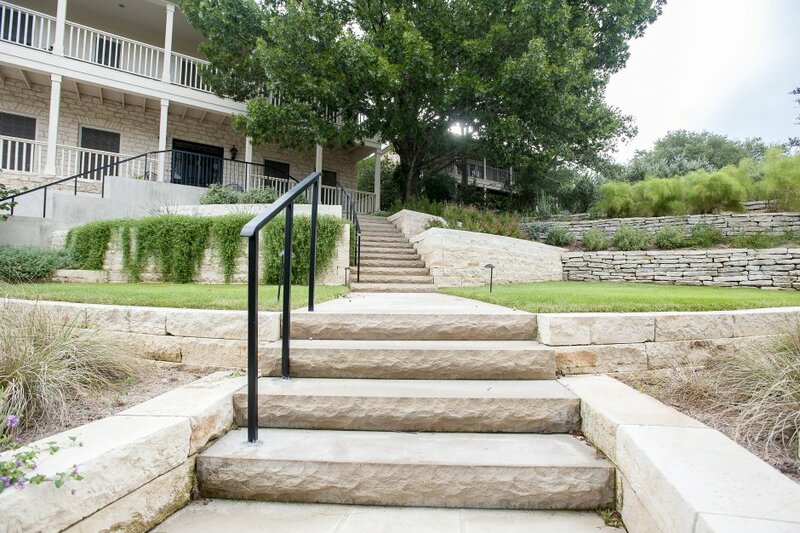 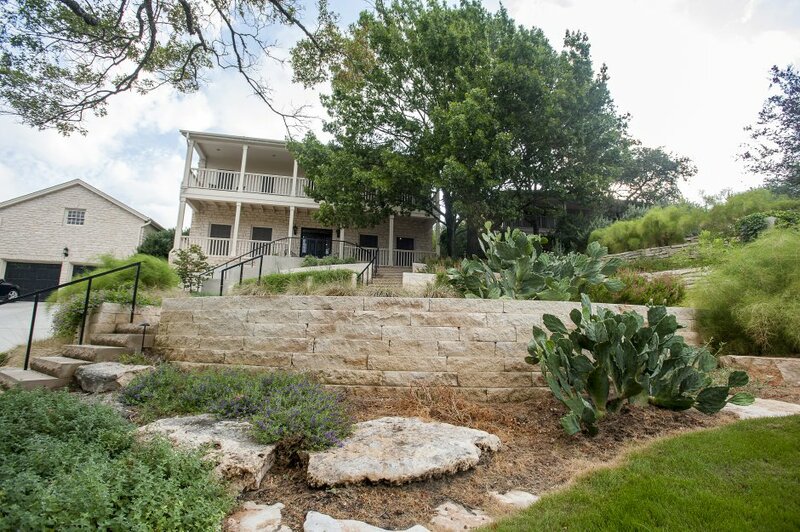 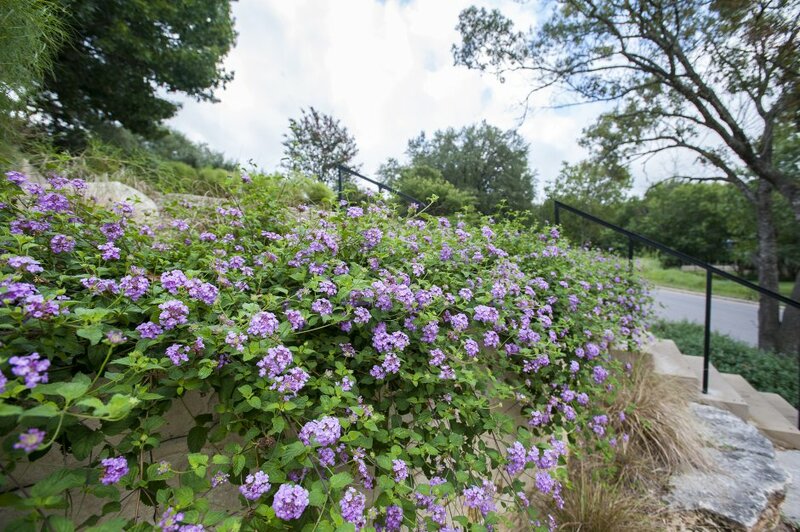 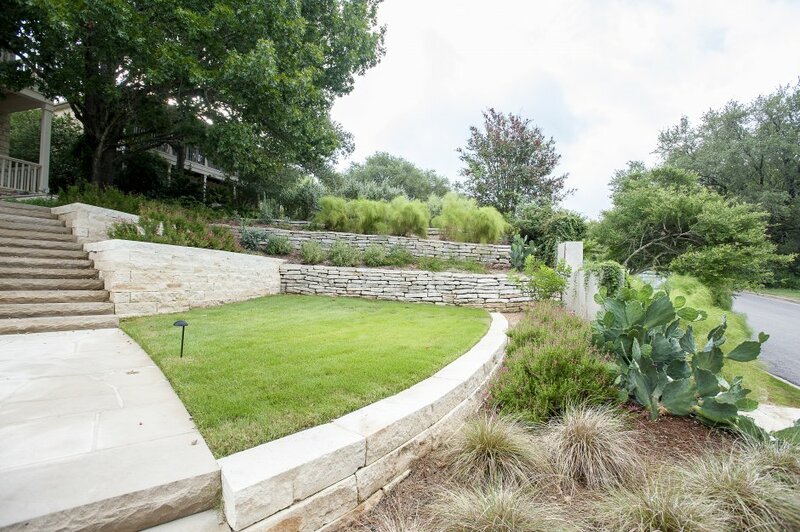 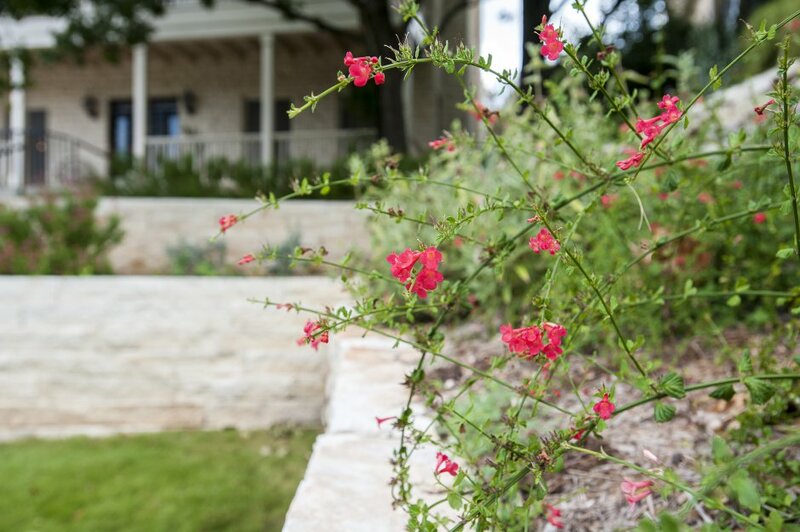 The limestone retaining walls blend with the architecture of the home and give an opportunity for planter beds which are filled with native plants. 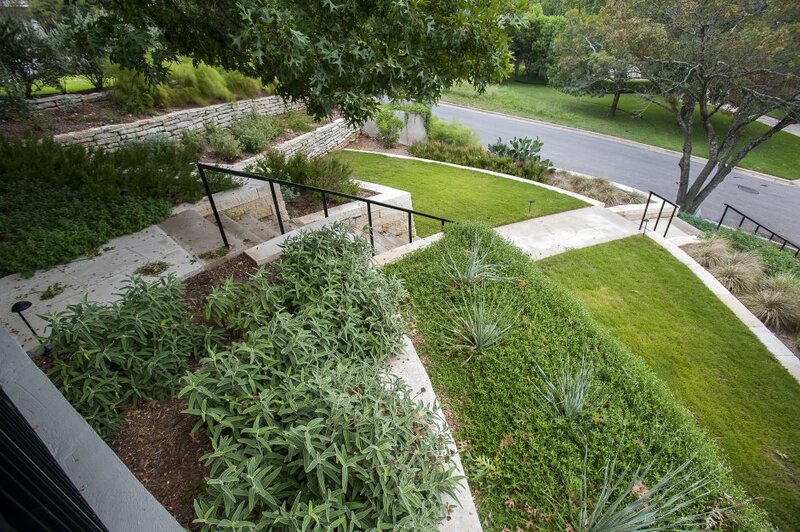 The terracing is topped with a beautiful lawn which is perfect for gathering and playing with the small children that live there . 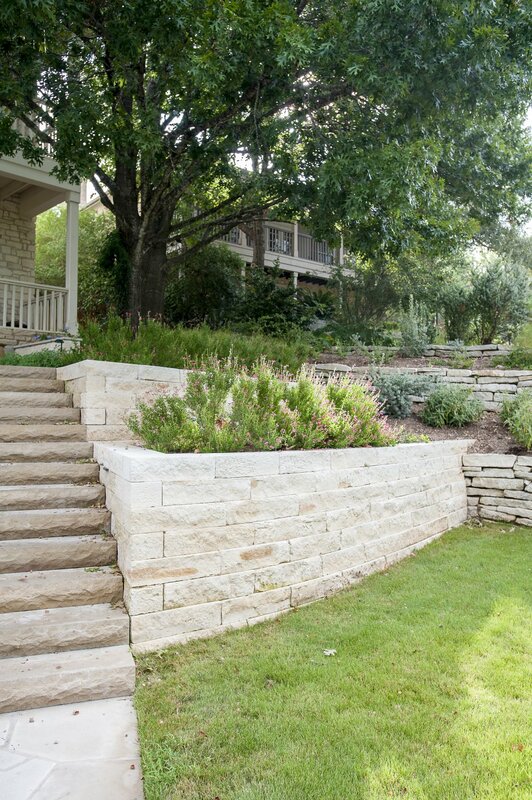 The more formal limestone block walls deconstruct into gorgeous weathered limestone boulder work, that belies the escarpment no doubt under the surface. 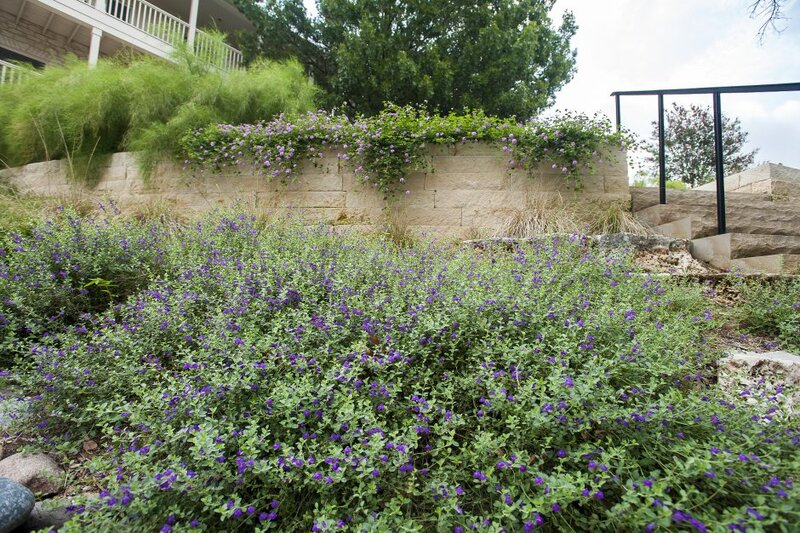 Very native and xeric plant choices, help a large lot use less water.